Raul Perez Ballaga and Chad M. Freedman opened the law firm, Ballaga & Freedman, LLP, in August 2014. In January 2017, Leonard C. Atkins, IV, joined the firm as a partner and the firm became Ballaga, Freedman & Atkins, LLP shortly thereafter. 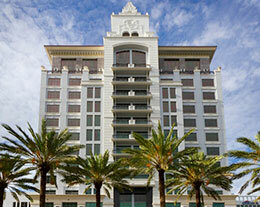 The firm’s office is located at 396 Alhambra Circle, Suite 210, in Coral Gables, Florida. Ballaga, Freedman & Atkins, LLP bring over forty years of combined experience in matters involving real estate transactions, business litigation, business transactions, title insurance matters, complex financing and corporate planning. Raul Perez Ballaga has been practicing real estate law since 2000. He is Board Certified in Real Estate Law, a distinction that less than one percent of all attorneys in the State of Florida can attest to. He is active with the Real Property, Probate and Trust Law Section of The Florida Bar, having served as the Chair or Vice-Chair of several committees, including the Title Insurance Committee, Real Estate Certification Review Course Committee and Residential Real Estate & Industry Liaison Committee. Ballaga is particularly versed in title insurance matters. He has represented banking institutions, as well as commercial and residential clients, in business transactions and closings. Ballaga has also served in the Florida Bar’s Grievance Committee and was a Board Member of the Florida International University Alumni Association from 2003 to 2008. He has also volunteered as a Wish Grantor for the Make a Wish Foundation. Chad M. Freedman received his juris doctorate from the University Of Miami School Of Law in 2004 and has practiced in the real estate and corporate arenas, both as a transactional attorney and as a litigator since he became a member of The Florida Bar. He has been privileged to work with a number of local and national real estate developers, investors, landlords, tenants and lending institutions in matters involving acquisitions, dispositions, financing, leasing, condominium formation/conversion, and other related issues. Among them include the likes of Agave Holdings, LLC, and Banyan Street Partners, LLC, two of the preeminent South Florida commercial real estate development entities. Like Raul Ballaga, Chad has also represented title insurance underwriters and/or insureds in matters involving financial fraud and professional malpractice. Freedman is a member of the University of Miami Citizens Board and the Commercial and Industrial Association of South Florida and a past member of the Big Brothers Big Sisters of Greater Miami program. Lane is a business litigator and trial lawyer. His practice is focused primarily on business and real estate issues, including title insurance litigation and claims. Lane has handled numerous disputes involving real estate transactions, complex title issues, business relationships and contracts, fraud and forgery, mortgage foreclosure and special asset recovery. He has represented businesses of all kinds, banks, title insurance underwriters and agents, real estate brokers, developers and individuals. Lane is an active member of the title insurance litigation community, has spoken at numerous industry events and is a Vice-Chair of the American Bar Association TIPS Title Insurance Litigation Committee. Lane grew up in South Florida and graduated from Florida State University. He received his law degree from The George Washington University Law School.